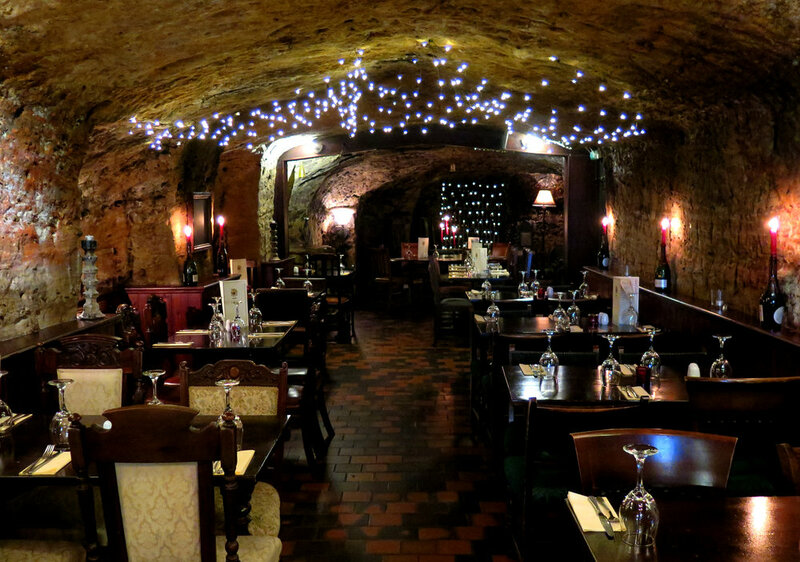 A TRADITIONAL ENGLISH PUB STEEPED IN HISTORY, the hand & heart is built into SANDSTONE CAVEs that date back to saxon times. 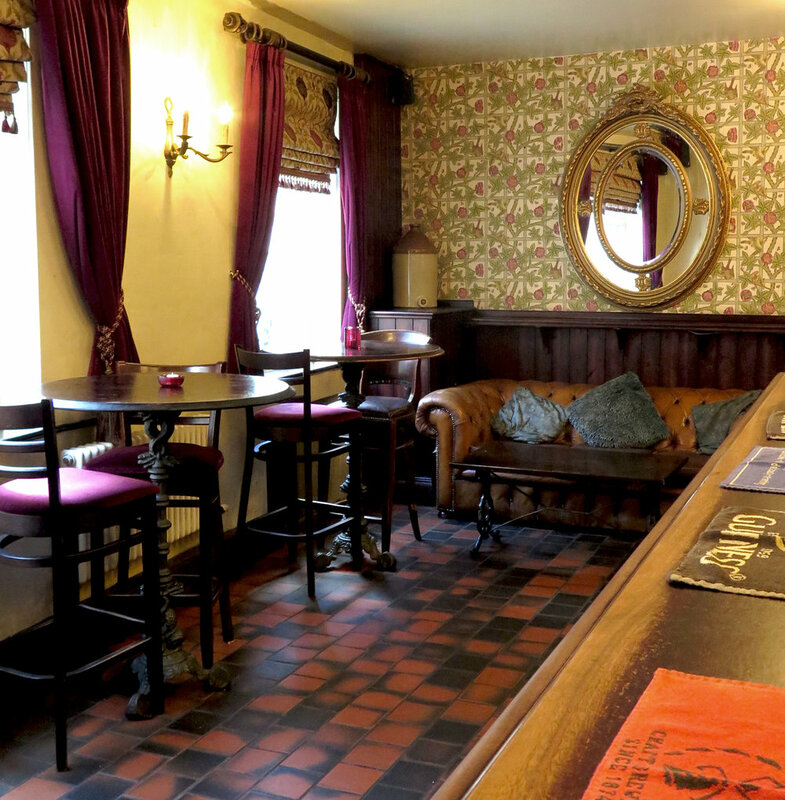 Famous for our fantastic selection of real ales & ciders, a carefully chosen cellar of fine wines, and an extensive range of whiskeys, our pub is full of character and quirks: from the cave restaurant to the garden room conservatory, piano snug and more. 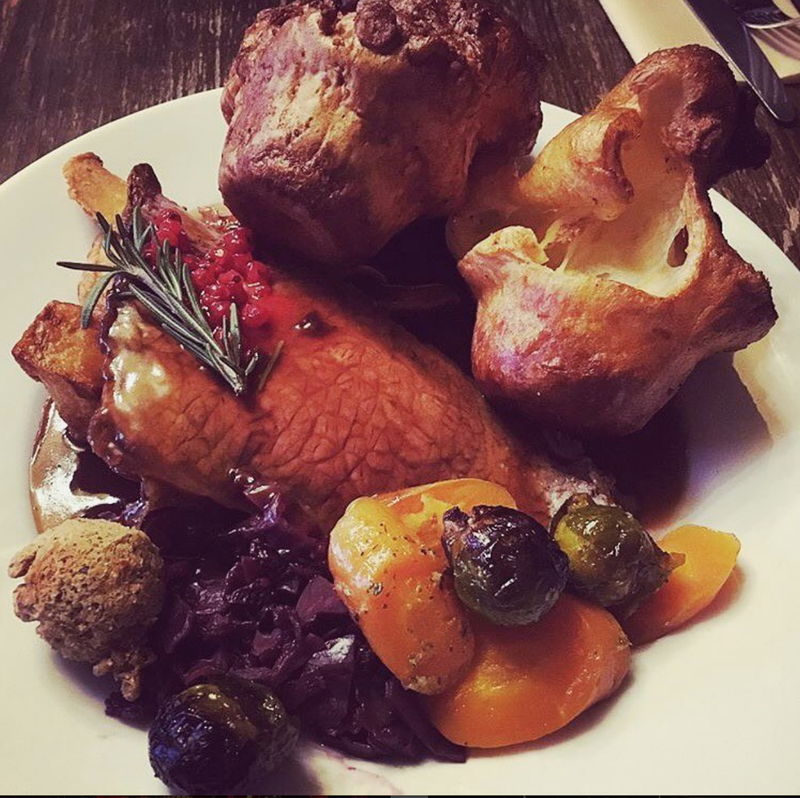 Since opening in 2008 We've won numerous CAMRA awards and become well known for our hearty home-cooked food and traditional Sunday lunches that have been described by some as "legendary!" and "epic!" The Hand & Heart started its commercial life in 1866 as a brewery. The building was originally comprised of a Georgian House with stables to the back and a cave below. The beers were brewed in the converted stables and dropped through a hole carved out of the ceiling of the cave for storage. Soon after, the Victorian shop front was added and it started to retail beer as a public house. In the early 60’s, the roof terrace was replaced by a glass conservatory. And in the 80’s a huge amount of neon lighting was installed (ahh! the 80’s). After trading for many years, in 2004 the pub was closed and left almost derelict. Then in 2008 the building was finally bought by Dawn Underdown, a publican and restauranteur with many years experience of turning unloved pubs into buzzing locals. Dawn and her family spent the next six months fully renovating the pub, removing all sins of the 80’s and sourcing reclaimed antique furnishings to restore the pub to its former glory. Over the next few years a Victorian dining room - with a real wood fire - and a sheltered, green, smoking terrace were added. 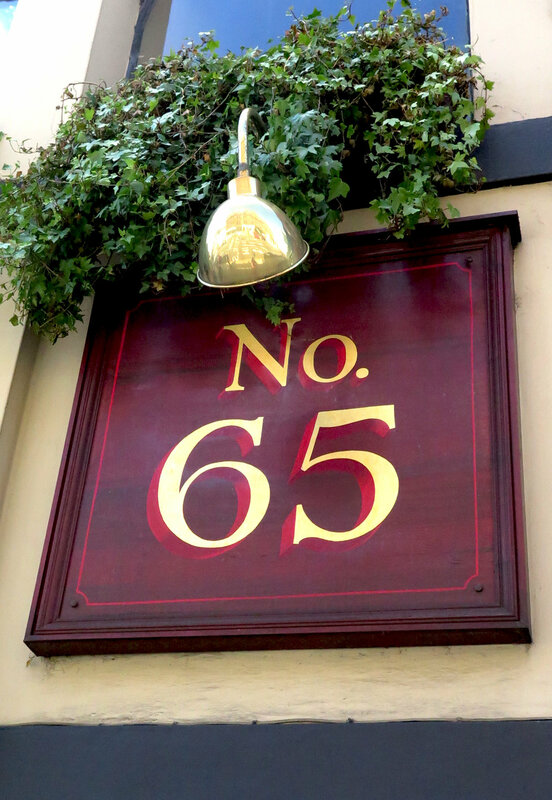 These days the Hand and Heart serves as a dependable haven for locals and tourists alike, always offering the best variety of locally sourced beers and British fare. With our history it seemed only fitting that we should have our own, in house ale. So we asked award winning brewster Rachael at Dancing Duck to make us something special. Heavy handed is a deliciously well rounded copper coloured bitter, an all season winner and well balanced at 4% abv. And for our Tenth birthday we added a new brew, Light Hearted, A well hopped pale with a light bitterness. This is an example of our main menu, we try to keep our dishes nice and seasonal so things are always fresh and exciting. Call to hear our daily seasonal specials! More vegan options available upon request. Our chefs can adapt many dishes to be gluten free, please enquire. Cheeseboard: selection of English cheeses, fruit, chutneys, bread, crackers. Exclusive to us, this is our locally brewed house ale. This is a deliciously well balanced copper coloured bitter. Brewed to celebrate our ten year anniversary. A well hopped pale with a light bitterness. Brewed in Eakring, this golden session ale contains New Zealand and American hops giving a fruit taste and subtle bitter finish. Based on a traditional Gose malt bill, a mix of malted barley and unmalted wheat, with added acidulated malt to add tartness. This combined with a generous dose of crushed coriander seeds and pink Himalayan salt at the end of the boil and masses of pureed blueberries in fermenter give this beer a wonderful blend of flavours. Surprisingly diverse array of notes collected in a hazy weisse beer. Expect clove, banana, and bubblegum! Lightly hopped; this delicate pale ale has a refreshingly strong overtone of cucumber. A classic balance between sweet milk chocolate and bitter roast coffee. A great low Alcohol beer! Full of flavour but low in alcohol. Big Easy overflows with sublime American hops which produce a beautiful bouquet of lemon, peach and apricot. Smoother and traditional with a light aroma and understated notes of citrus. A bright red west coast ale; Liquid mistress has some surprising flavours to be found. Look out for burnt raisins, crackers, peach, and biscuit. Golden, immensely hoppy, and very bright on the tongue. With hints of peach, mango, and grapefruit. Siren collaborated with Naparbier to create an almost cordial like experience. The result is a thick farmhouse Saison suggestive of chamomile and hibiscus flowers. A massively hopped Session IPA (SIPA) packed full of hoppy wonderness. Late hopped with Amarillo, Cascade & Simcoe only to be finally dry hopped excessively with Vic Secret, Galaxy & even more Simcoe. 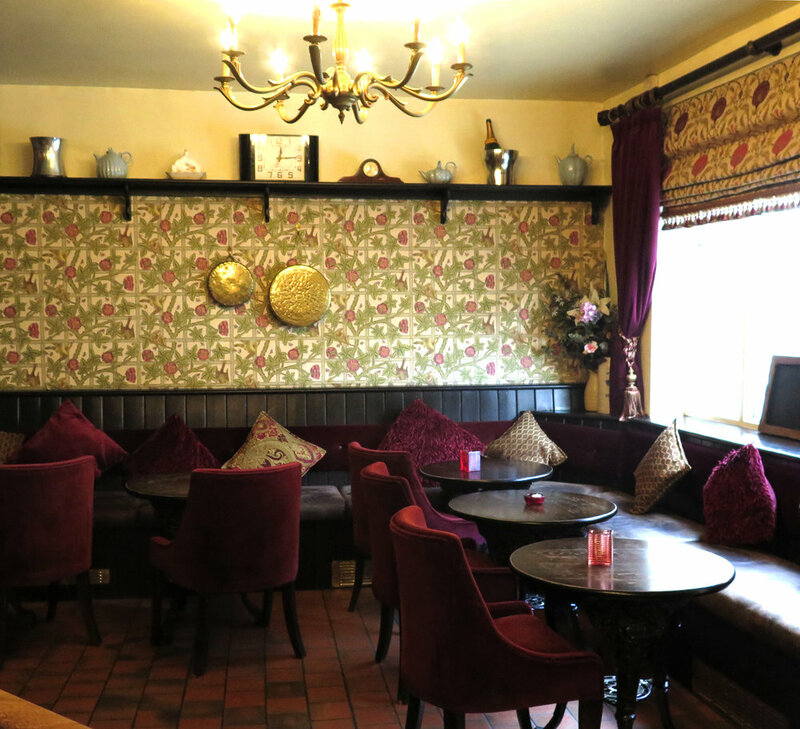 Upstairs at the hand and heart we have the perfect location for parties, meetings, and large dining groups. We've hosted weddings, birthdays, retirement celebrations, sword dancing and barbecues! Our versatile space can be reserved or hired to suit your needs, with a capacity of up to 100 people, optional bar, bespoke buffet service. We have a fantastic bunch menu that's perfectly suited for making meetings that little bit better . You can book a table and pre order a selection or order from the menu. We also do take away and delivery for our locals. We're always looking to meet people as passionate about food and drink as we are. Our pub has a great working atmosphere thanks to our dedicated, sociable, and good humoured staff! Check here for our latest vacancies.